One winner will receive a tee of their choice from RC Tees. The giveaway will conclude February 15th. 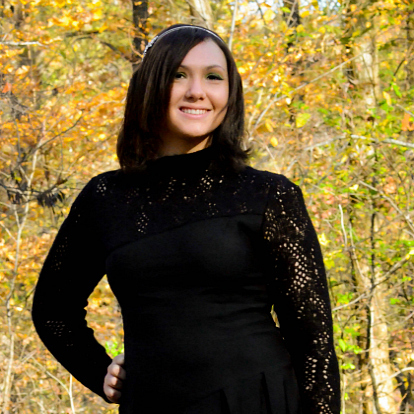 One winner will receive a $100 gift certificate to HipFusion Designs. Note: Entrants must subscribe to the newsletter at HipFusion Designs. The giveaway will conclude February 22nd. One winner will receive a $25 Macy's Gift Card. Macy’s GO RED FOR WOMEN campaign is celebrating National Wear Red Day on February 5th. Go Red For Women is the American Heart Association’s nationwide movement that celebrates the energy, passion and power of women to join together and wipe out heart disease, the #1 killer of American women and men. Since 2004, Macy’s customers and employees have contributed more than $21 million to the Go Red For Women movement. - Red is the color that saves at the Wear Red Sale. - Take fashion to heart and buy the limited edition INC International Concepts Little Red Dress. - Speak Up against heart disease by sharing your story at the Go Red Casting Calls. - Attend a Go Red luncheon in your area. - Join Go Red For Women. One winner will receive an Edun Mens - Edun Bleed Tee (a $55 value) from Shop Chantal. The giveaway will conclude February 4th. 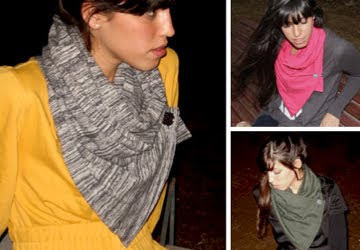 One winner will receive an Adi Bakshi fashion scarf of their choice from Coolil.com. Adi Bakshi fashion scarves are made to look effortlessly chic with the simple fasten of a button. The perfect women's scarf, Adi’s designer scarves collection ranges from chiffon scarves, knit scarves and cotton scarves with many unique scarf patterns to ensure that you'll get the perfect, slouchy look with every wear. 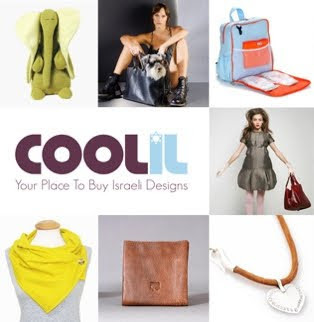 Coolil.com is an online marketplace specializing in the burgeoning Israeli design scene, featuring a wide range of cool Israeli designer products and fashion accessories. Coolil.com's collection offers an array of products, ranging from Israeli and Jewish jewelry, fashion accessories, handbags, totes, purses, wallets, fashion scarves, unique children's toys and designer diaper bags, all of which are made by the finest Israeli designers. 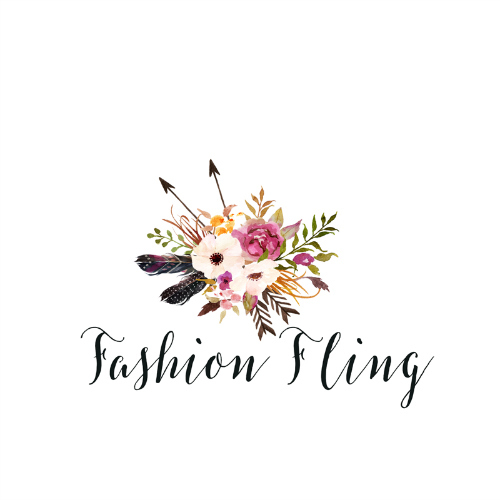 Explore their site and you’ll find top Israeli brands such as Efika, Kisim, Manuella and Daniella Lehavi, as well as up-and-coming designers like Adi Bakshi, Shelly Assody, YOYO32 and Augusta. Stiruppz ($25) is a comfortable, stylish accessory that will keep your pants securely tucked into your boots, and does a fine job at that! They will keep your jeans in place and let you move freely. They are very easy to clip on and will not damage your clothing. Adios to bunchy knees, pushing and retucking, rubber bands around your ankles and socks over your jeans! Overall, I'm very pleased with Stiruppz. I was a bit taken back by one negative review since I believe this is a great product. I wish I had these when I was attempting this style and had to go on a date. I remember having to push and retuck throughout the date - embarrassing! So kudos to Stiruppz for this new, innovative product. 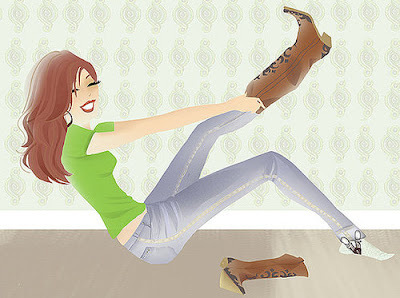 How to Use: Stiruppz work best when jeans are cuffed. Simply cuff and fold your jeans to the desired length and clip on your Stiruppz. One size fits everyone. The American Red Cross has made this process simple. Donors can text: Haiti to 90999 on your cell phone to send a $10 donation to support Red Cross efforts in Haiti. 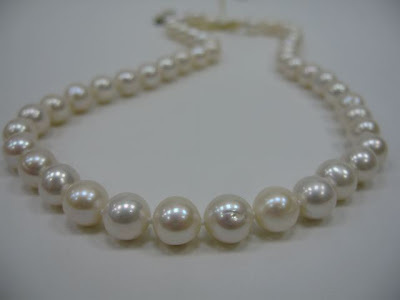 One winner will receive a pearl necklace from (a $300 value) Louis Anthony Jewelers. So striking they cannot be resisted, freshwater pearls are a must in any sophisticated woman's wardrobe. These lustrous, 9.5mm freshwater pearls extend 18" in length. The timeless quality of the 14k gold french hook-style clasp completes the look that only freshwater pearls can deliver. Maybe it's a milestone birthday. Or the birth of your first child. Maybe you've just met the love of your life. Or have shared 30 wondrous years. Life is rich. This Pittsburgh Jewelry Store offers carefully chosen and undeniably stunning selection of jewelry, timepieces and gifts. For 18 years, they have provided the kind of warm, familiar service that goes beyond knowing your name to knowing what's on your personal wish list.